Anywhere you can drive to, the Roadtrek E-Trek diesel coach can get you there and keep you comfortable for as long as you want to stay! 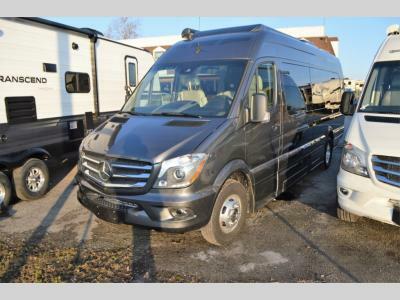 This eco-friendly unit is built on a Mercedes-Benz Sprinter chassis and designed specifically for those who love technology and the environment. It is packed full of functionality starting with a kitchen that includes a large sink and an induction two-burner cook-top with convection microwave oven so you can eat healthy and nutritious meals all while you travel. 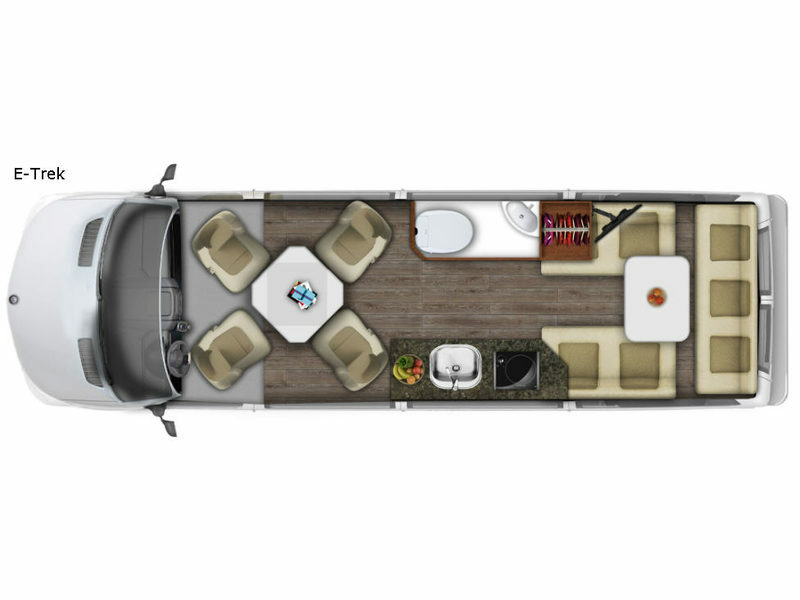 There is an abundance of storage throughout for all of your gear, and it even offers a spacious bath with a stand up or sit down shower. From anywhere in the coach you can enjoy the view of your choice through the large panoramic windows, and when you want to be off-grid for awhile, the 470W roof-top solar panel can easily allow this E-Trek to generate its own electricity just by the sun. The "Composite" leather rear power sofa is comfortable by day, and with the push of a button can be transformed into a king size bed for sleeping at night. This unit easily sleeps four and can seat seven while you travel. This E-Trek class B coach is waiting to be your perfect eco-conscious travel companion! Choose it today!